My girls have had a built in buddy from birth. And…another father for that matter. and not be offended when you call them dogger woggers. And I think he would have a hard time finding a little girl who loves him so much. 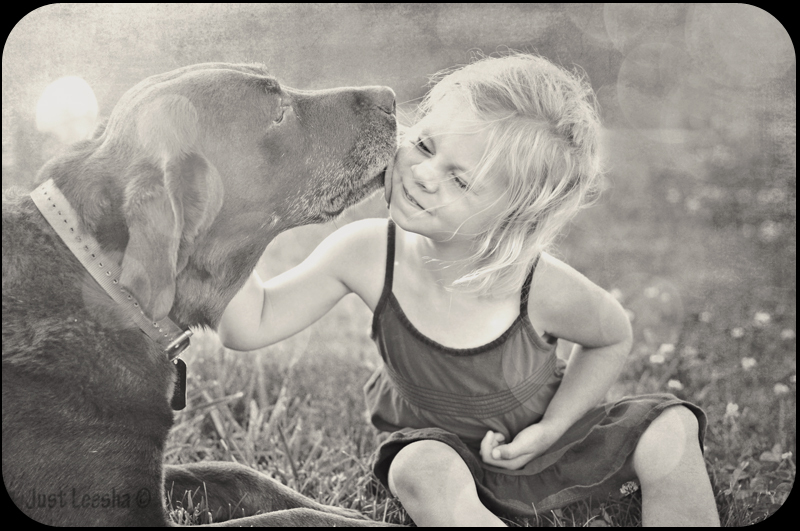 Oh my….nothing like a big kiss from your best (furry) friend. LOVE it. Awww, such a wonderful photo!!! Perfect! Love her expression. What a great capture! i love this shot…soooooo wonderful and sweet! Love this shot. Great capture. LOVE this! I always find your entry every week…You do such a great job! oh my gosh this is adorable. and what a beautiful little girl! This is just adorably gorgeous!! Precious! dogs are everyone’s best friend!! Love that her face is squished by the dog’s “kiss”!